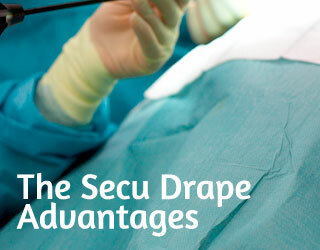 Secu-Drape® is our complete range of drapes, gowns and accessories for surgical interventions. 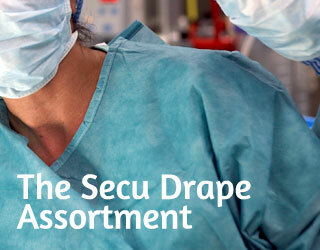 Sengewald manufactures the finished drapes used in surgical theatres. We are the only major company that has retained significant manufacturing capabilities in Germany, while many competitors have instead outsourced production to Asia. Sengewald has a complete range of drapes and gowns that offers customized solutions. 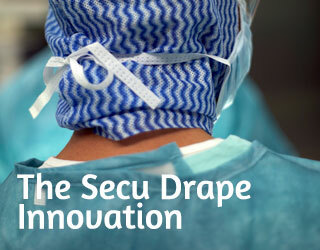 Secu-Drape® offers patients the highest level of comfort thanks to a thin layer of cellulose or polypropylene spunbond nonwoven that Secu-Drape® has on its own 3 layers materials while Sengewald’s gowns offer customized protection to different needs of surgeon and their staff.